Make Your Cabinets Like New Again – in Just Days! Cabinet refacing or resurfacing is one of the fastest & most affordable ways to transform your space living or working space without the hefty price tag. In just days, rather than weeks or months, we can help you to transform your dream kitchen or bathroom like new again. Get brand new looking kitchen or bathroom cabinets but at only a fraction of the time it takes to completely replace! Cabinet refacing and veneer resurfacing is a more cost-effective and Hassle-Free way to give your kitchen a distinguished new look. With all the money you save you could take all the cash and put it towards one of our **Complete Kitchen Makeover Deals**, upgrade your countertops, get new backsplashes, save it for a rainy day, pay off your bills, – or Just go on vacation. With cabinet refacing you can keep more of your hard earned money and do what you want with it. You can update both the style and color of your cabinets for a completely new look. With thousands of available styles such as trending modern, classic, and more type of finishes it is enough to suit any personalized taste. Even though you can get an amazingly fast transformation for your kitchen or bathroom, the results and top-notch refacing materials can last for decades. Gregg Custom Painting™ can do all these installations with minimal disruption to your daily living or work routine. Our professional cabinet resurfacing pros can finish most bathroom or kitchen cabinet refacing makeovers in just 3-5 days. The majority of the work can be done at our shop, leaving you with minimal disruption, a convenient hassle-free experience, and a kitchen or bathroom facelift you can love for a lifetime. And the best part is cabinet refacing only costs a fraction of what it would take to completely replace your kitchen or bathroom cabinets. One of our professional cabinet remodeling designers will assist you every step of the way in creating the perfect look for your new dream kitchen or bathroom. During this time with the assistance of our expert interior designers, you will select your favorite colors, styles, and your new custom cabinet hardware. You will also select any additional add ons such as pull out storage drawers etc. After you have made you selections, and when you’re ready to start your cabinet refacing project, our design consultants will then make another appointment with you. This second appointment is for us to come and take some measurements for a perfect your custom fit. After finalizing all the measurements and product selections, we will order your new custom manufactured cabinet doors and accessories! Once everything is ordered we will finally be ready to schedule your cabinet remodeling installation date. 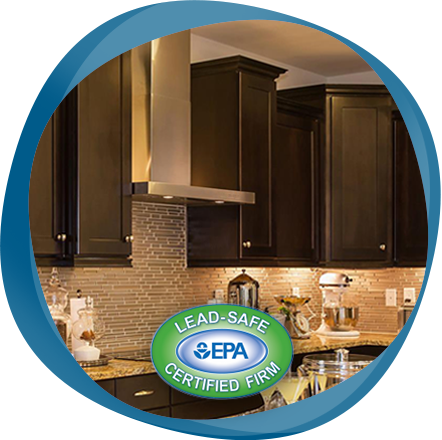 Within 3-5 days after your project begins, our professional cabinet refacing technicians will quickly transform the look and feel of your kitchen or bathroom. And all with minimal disruption to your daily routine. After installation the entire space will be left in a clean, neat, and like new condition for you to enjoy using! Instead of going without a kitchen or bathroom for weeks or months, you can get a complete like new installation in just a matter of days. 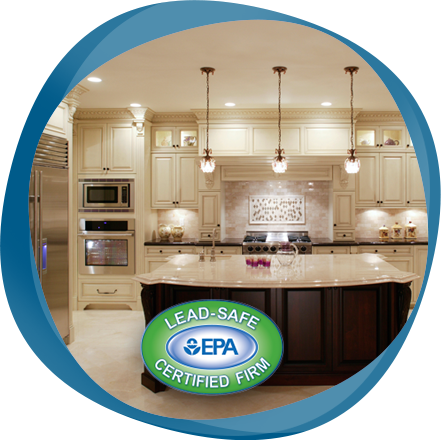 Our professional cabinet refacing and remodeling are part of our San Antonio, TX residential local in-home services. For more information on our additional residential painting or coating services, please visit our San Antonio house painting services page. Or you can visit our San Antonio TX cabinet refinishing services page for more information on Gregg Custom Painting™ convenient fine wood finishing services for your cabinets, furniture, trim, and more.